Sally Hansen HD Hi-Definition Nail Color in Laser (two coats over black). I love this color. It's some of my most favorite things -bright vibrant blue, glass fleck and duochrome- all in one polish. 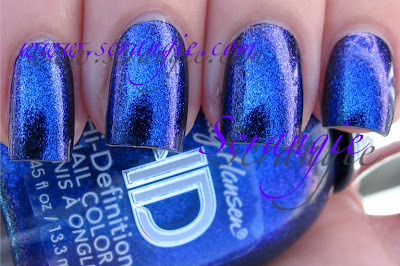 It can be worn alone, but I find that it has more of a duochrome effect when worn over a dark base. One of my all time favorite Sally Hansens. Almost as good as the old stuff. I love this over black! On it's own it's just kinda meh. But it really pops over black. I LOOOOVE the HDs, especially Spectrum! BEAUTIFUL! I want that on my nails right now! Very striking indeed! :) I also love vibrant colours. Wow that is so pretty! I guess I should get a good black to use as a base! so beautifulllllllllllllllllllllllllll i love it! i think i need this polish. like now! how could anyone resist it! also, i love how clean your cuticles look...how do you do it? I had this one but it was about the only one (of 100+ that took the journey) that didn't survive the move overseas. I haven't replaced it yet but I really should, it is a beautiful polish! i love it, beautiful color! Mmmm, this is spectacular!! I have this one too (found it in a clearance pile for $2!) and I absolutely LOVE it!! This is an amazing color :) BTW, thanks for reviewing Sally Hansen HD polishes, I think they're great but can't find many swatches. love this!! ACK!! I need this now... I've looked at this at both CVS and Walgreens but now I got to get it. I have this and haven't worn it. Hope I remember to wear this over black. Looks fantastic. what black nail polish did you layer this over? I put a single layer of this over a chipping Deborah Lippmann Bad Romance pedi and got a great multi-chromatic outcome. Thanks for the recommendaton! OMG!!! i have this polish, i put it over dark purple though! OMG! 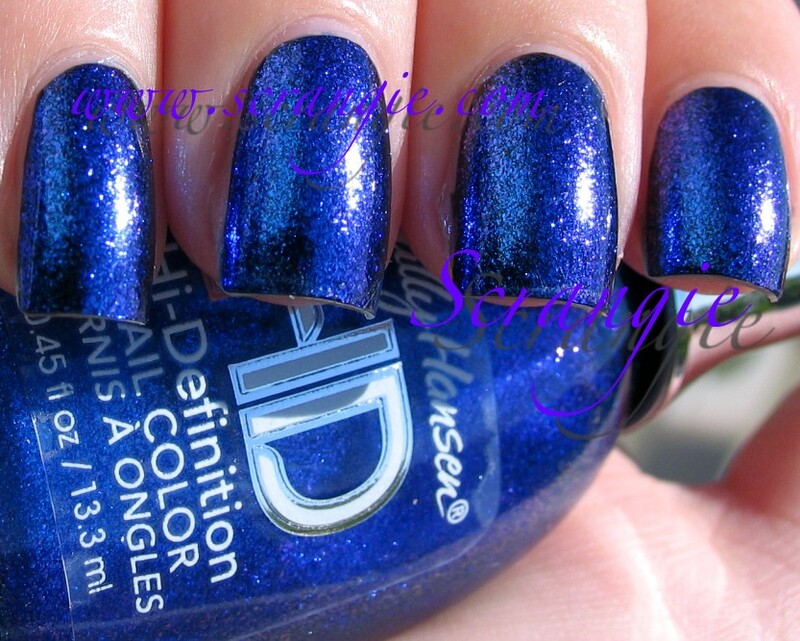 I have this polish and i put it over a dark purple!